WIZnet’s Connect the Magic 2014 Design Challenge provided electronics enthusiasts with the opportunity to use WIZnet’s WIZ550io Ethernet module in a project for a chance to win a share of $15,000 in prizes. The submission deadline was August 3, 2014, and soon thereafter the judges began scoring the entries. We’re excited to announce that the results are now in. Check out the winning projects! 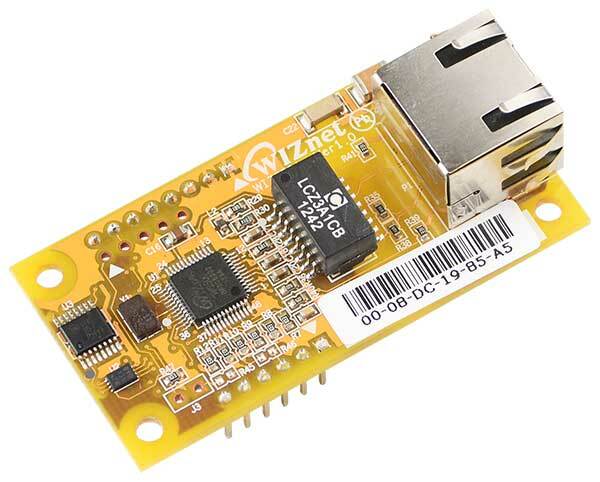 Free WIZnet WIZ550io Ethernet controller modules were available while supplies lasted. There are currently no more free modules available. 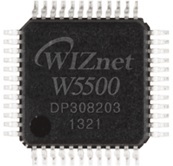 WIZnet’s WIZ550io is an ideal module for rapidly developing ’Net-enabled systems. It is an auto-configurable Ethernet controller module that includes the W5500 (TCP/IP-hard-wired chip and PHY embedded), a transformer, and an RJ-45 connector. The module has a unique, embedded real MAC address and auto network configuration capability. When powered on, the WIZ550io initializes itself with the MAC and default IP address and can be pinged from your computer. Thus, you don’t need to write MAC and network information such as an IP address, subnet mask, and gateway address. The W5500 chip is a Hardwired TCP/IP embedded Ethernet controller that enables Internet connection for embedded systems using Serial Peripheral Interface (SPI).